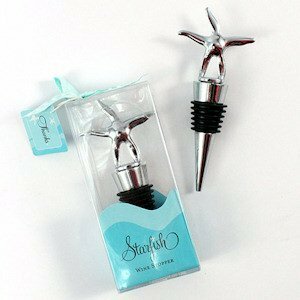 These starfish wine stoppers make great practical favors for beach wedding guests. 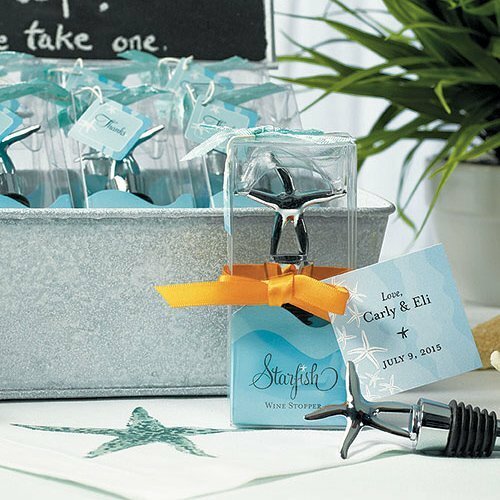 They'll love using them again and again in their own homes. 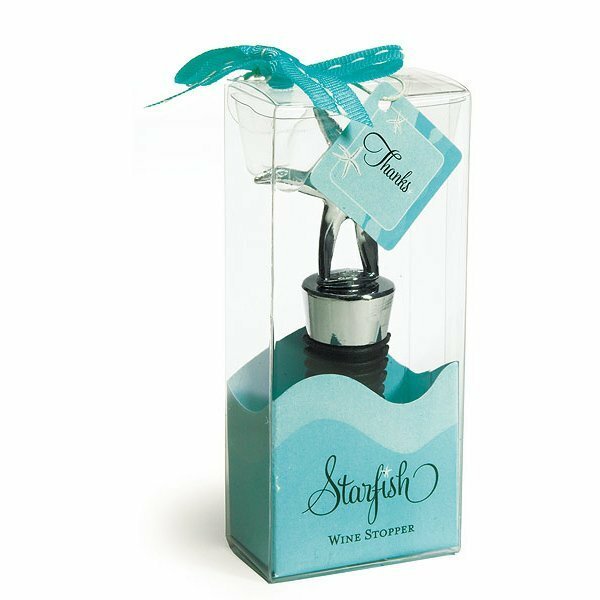 And of the thousands of gift items we offer, these stoppers are consistently ranked as one of our best wedding favors! 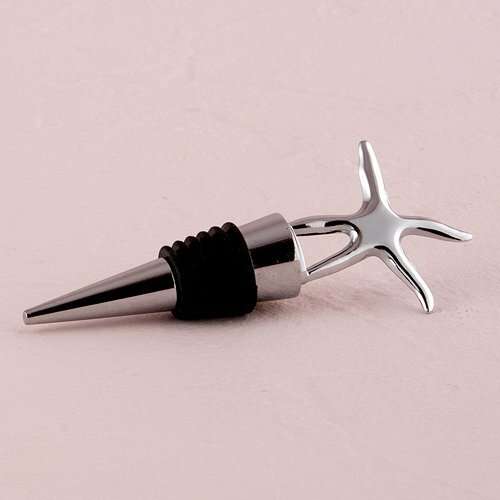 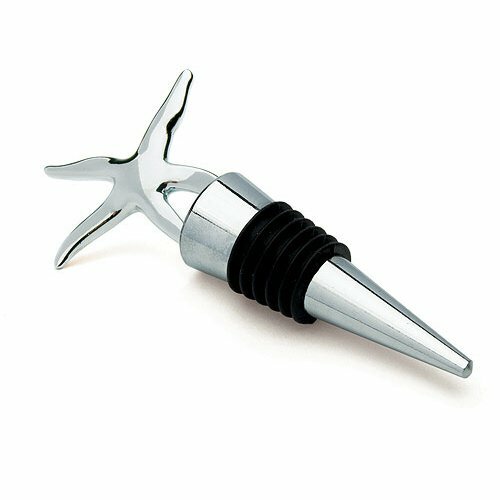 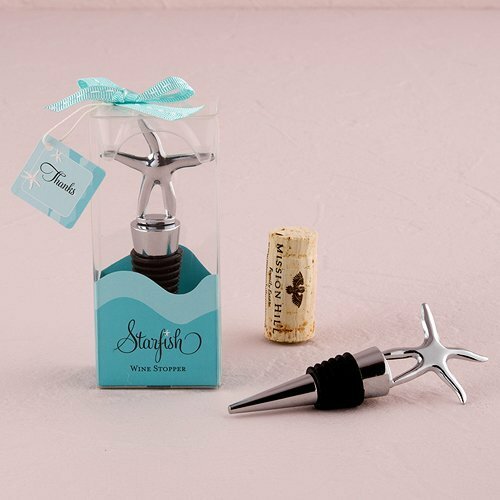 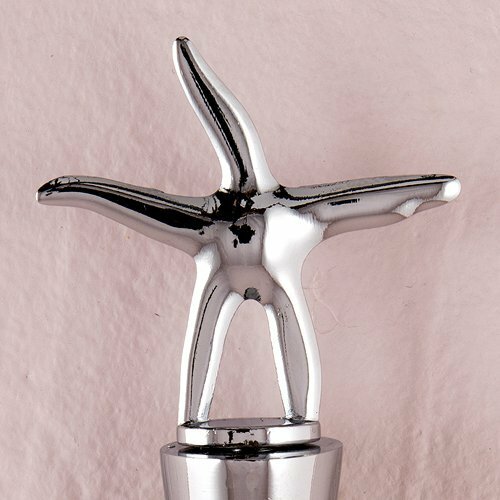 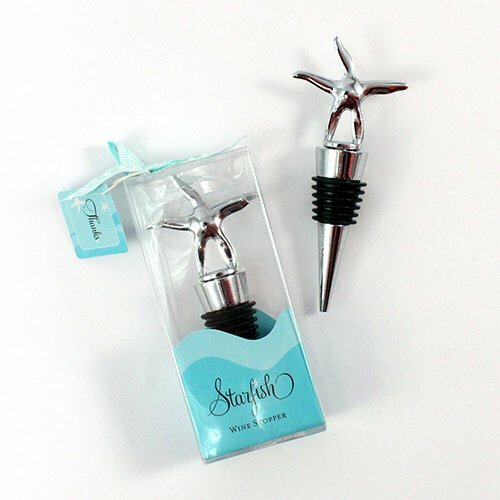 The starfish wine stopper wedding favor is ready to give to your guests in the attractive gift packaging shown. 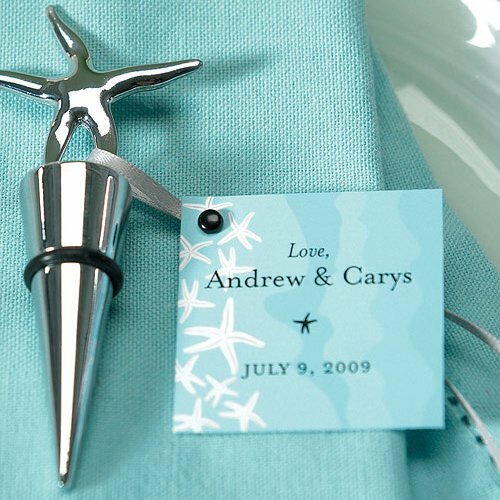 A standard "Thanks" tag is included with these starfish wedding favors, but we also offer a matching personalized tag (purchase separately - item 8623).